I know that playlists have grown in popularity, so I figured I'd go ahead and consider putting together some of my own. This is #1, the trial run - I tried to pick tracks I might not upload as separate 12" releases and also stuff I'd hope wouldn't trigger a takedown notice. 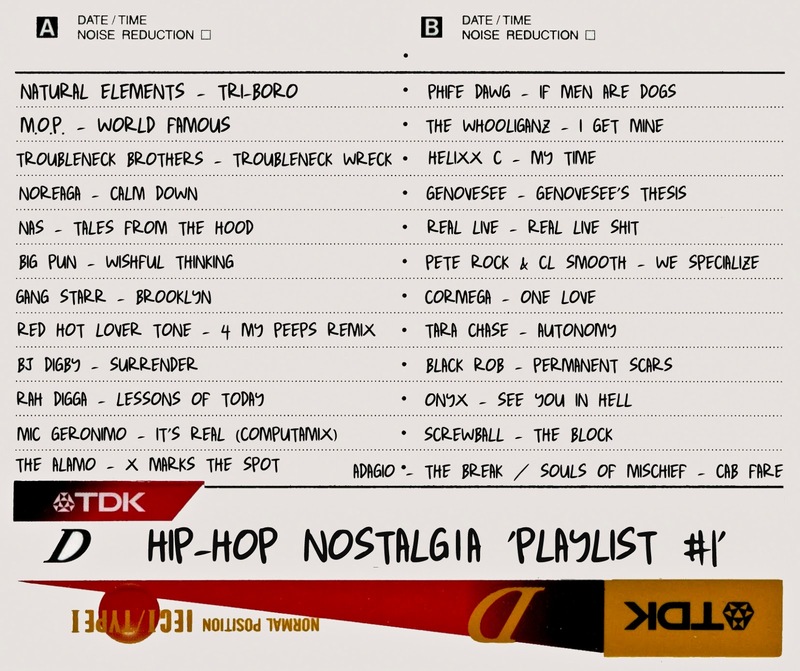 We'll see on that, but for now - here's 25 tracks from the 90s, early 2000s. A combination of remixes, unreleased and non-album tracks + some stuff I'm just diggin' today ... if you have any questions about any of the tracks, just hit me in the comments. I left off the features in the tracklist, but obviously 'Calm Down' has Nas on it, '4 My Peeps' has Organized Konfusion, M.O.P. & Biggie; 'The Block' features Nature, and 'Wishful Thinking' is Fat Joe's track with Big Pun, B-Real and Kool G Rap. I'll try to make more in the coming weeks, click HERE to listen via Audiomack.